Polo is located high in the mountains, that's why during the really hot days its nice to drive up here from Cabral. There is maybe difference of 6-8 Celsius Degrees between these two dominican towns - while in Cabral there is unbearable heat - here it is just nice. In the said Cabral I see some dominican rituals "live" - some kind of masquerade, with kids running around and guys wearing various masks. Fun. Today I am visiting nearest beaches to the Barahona city - El Arroyo and San Rafael. They are both with really dangerous sea, with high waves and crazy tide..So I started to swim a little in San Rafael beach - like maybe for 30 minutes. The waves were so big that it totally exhausted me and I almost havent drowned...Be careful while swimming there. 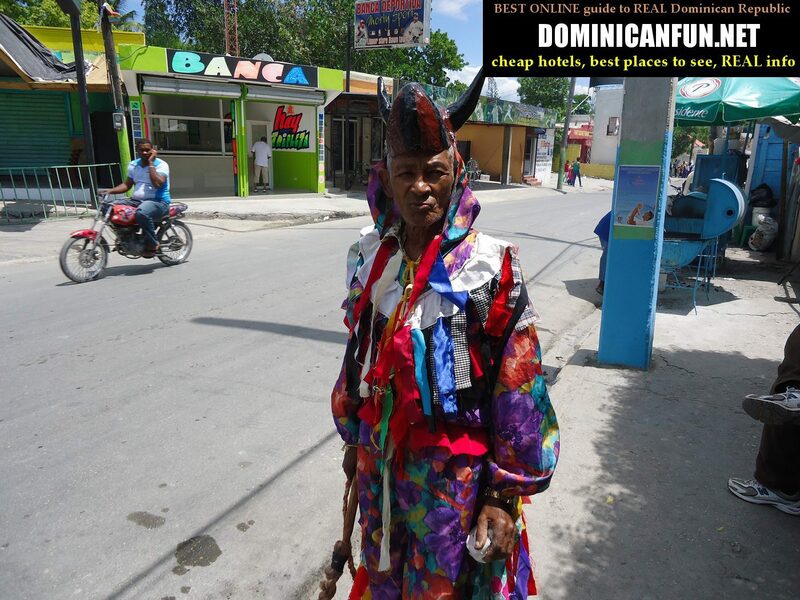 In Barahona I meet some dominican tourist guide. Nice guy. He tells me how he lived in Germany with some German lady.... We spend some time together. Drinks are on me. And that's OK.